The Florida Bicycle Accident Attorneys of Gilman Law LLP are Here to Help You. Bicycling is an enjoyable and healthy form of recreation, and cycling recently gained popularity in Florida as a form of commuter transportation when gasoline prices climbed to $4 or more. Yet bicycling can be dangerous because cyclists must share Florida’s roads with larger cars, trucks and buses. Many drivers do not look out for cyclists or recognize that they have a legal right to be on the roads. Collisions between a bicycle and a car or truck can be devastating to bike riders, resulting in serious injuries, fractured bones, paralysis or death. Bicycle accident injuries are often serious, leaving people with substantial medical bills and lost time from work or school. In some cases, the victim may have permanent disabilities and be unable to work. If you’ve been a victim of a Florida bicycling accident caused by another motorist, Gilman Law LLPcan help. 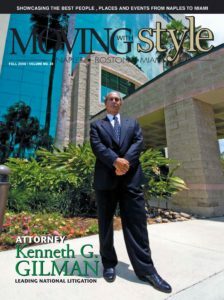 We have represented hundreds of injury victims in Florida, and our lawyers have achieved success in winning large settlements to ensure our clients can put their lives back together after a serious accident. 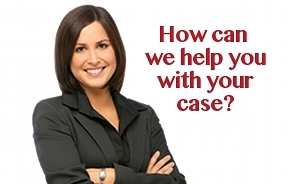 Please fill out our online form or call 1-800- LAW-INFO (1-800-529-4636) for a free consultation. Our bicycle accident attorneys serve clients across Florida, including Naples, Fort Myers, Marco Island, Cape Coral, Lee County,Collier County, Everglades City, Golden Gate, Immokalee, Bonita Springs and Sanibel. This entry was posted in Bicycle Injuries on January 13, 2011 by admin. Nearly 700 bicyclists were killed and more than 44,000 injured in traffic accidents in 2007, according to the National Highway Traffic Safety Administration. And more bicycle fatalities occurred in Florida than in any other state. If you’re one of the thousands of Florida bicyclists, you know just how dangerous our roads can be. Bicycle accidents can occur due to roadway hazards, defective parts and mistakes made by the rider. Many injuries, however, involve a car or other motor vehicle. When motorists fail in their duty to keep a proper look out for bicyclists, they can be held liable for the damage and injuries that they cause. Even when a bicyclist’s actions contribute to the accident, a motorist has a responsibility to watch the road in front of them and obey traffic laws, such as speed limits, that are intended to protect other road users. Our lawyers who concentrate in bicycle accidents investigate each case to expose driver negligence, speeding and other factors that contributed to the accident. If you have been injured while riding a bicycle due to the negligence of someone else, you may be entitled to compensation for current and future medical bills, as well as lost wages and pain and suffering. Bicyclists have the same rights as any other person on the road and they deserve an aggressive lawyer to fight for those rights. Our Florida bicycle accident lawyers have helped hundreds of victims and their families recover from injuries in car, truck and bicycle accidents. If you or someone you love has been injured by a motorist in a bicycle accident, we urge you to contact one of our Florida bicycle accident lawyers to protect your rights. Gilman Law LLP is a Florida personal injury law firm here to help. Please fill out our online form, or call 1 800 LAW INFO (1-800-529-4636) to discuss your case with one of the experienced bicycle accident lawyers at our firm.